Nicki Minaj and Cardi B have official squashed their beef, but not before they dropped a lot of tea and receipts. On Monday (Oct 29), Nicki hosted her Queen radio show on Apple Music and once again spoke on the now infamous Harper’s Bazaar fight that left Cardi leaving with a knot on her head and no shoes, only this time Minaj alleges that it was former Remy Ma friend Rah Ali that caused the injury to Cardi, not security as originally reported. Minaj then went on to discuss the change in lineup for “Krippy Kush”, stating that it was because of Cardi that 21 Savage did not appear on the record. Tired of the accusations, Cardi B took to her Instagram to clear up a few things including what really happened at the event and called out Minaj for doubling down on her statement on her own show. Cardi then went onto explain that she never tried to stop anyone from working with Minaj and finally gave her take on the infamous “Motorsport” issue. Cardi went onto reveal that she felt that Nicki manufactured their beef by creating an issue behind the scenes to help her with marketing her new album Queen and to make Cardi look villainous. Cardi also dropped the bomb that the deal Nicki has with Diesel was originally presented to her along with a few records that Minaj ended up dropping verses on. 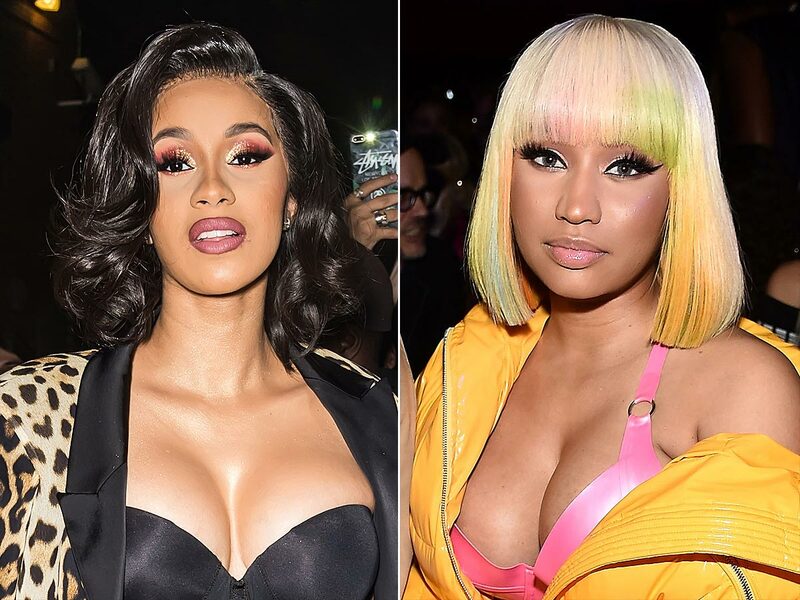 Not one to back down, Minaj responded to Cardi with receipts of her own claiming that she has her own footage of the incident and calls out Cardi for allegedly using ghostwriters. Ultimately after about four hours and a barrage of insults, Minaj stated that the issue between the two is over and that she would no longer be discussing it anymore. Hopefully, this will lead to the two collaborating on a record in the future, but at this point we are just glad to see that the camps have agreed to move on and do what they do best, make great music. Check out this week’s episode of Queen Radio here and Cardi’s response in full here.